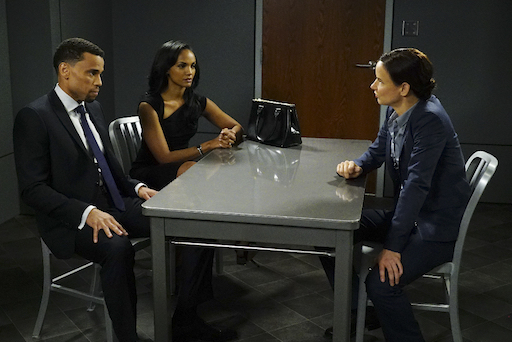 Secrets and Lies Season 2: Who's in Det. Cornell's crosshairs this time? Secrets and Lies Season 2: Who’s in Det. Cornell’s crosshairs this time? September 24, 2016 Lori Acken Drama, Fall TV 2016, TV News & Program Updates Comments Off on Secrets and Lies Season 2: Who’s in Det. Cornell’s crosshairs this time? SECRETS AND LIES – ABC’s “Secrets and Lies” stars Kenny Johnson as Danny Wade, Terry O’Quinn as John Warner, Mekia Cox as Amanda Warner, Juliette Lewis as Detective Cornell, Charlie Barnett as Patrick Warner, Jordana Brewster as Kate Warner and Michael Ealy as Eric Warner. It’s been a long wait for Juliette Lewis’ Detective Andrea Cornell to return to the job, but she’s finally back on the job, with a killer new case and another troubled-but-handsome prime suspect. When the wife of Eric Warner (The Following‘s Michael Ealy ), heir to a lucrative private equity firm, is found dead at the very party announcing Eric’s rise to the top, Cornell must unravel the secrets of the Warner family and their intimates, and find out just how close to home Kate Warner’s (Jordana Brewster) killer might be. Played by Lost‘s Terry O’Quinn, Eric’s charming financier dad John Warner “built his private equity firm on a model of honesty and morality” as he raised his three kids, but Kate’s death could reveal deceptions that cast a long shadow over the family and firm’s bright future. Eric’s “fiercely protective” sister, Amanda Warner Young (90210‘s Mekia Cox), is a surgeon’s wife and her work as a criminal attorney for the Public Defender’s office makes her a formidable challenge for Cornell. The baby of the Warner family, “functioning alcoholic” Patrick (Charlie Barnett, Chicago Fire) works with his father and brother as an analyst, but has struggled to live up to Eric’s successes. And then there’s the mysterious Danny (The Shield‘s Kenny Johnson). And — as was the case in the series’ twisty first season — Detective Cornell is still dealing with her own obsessions and internal dramas, because not just the bad guys suffer secrets and lies. Secrets and Lies Season 2 premieres Sunday, Sept. 25 at 9/8CT on ABC.